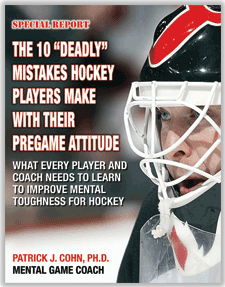 All athletes know confidence is the top prerequisite for optimal performance. 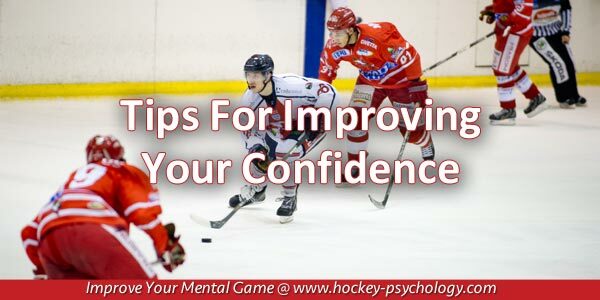 In fact, athletes usually attribute successful performances to confidence and point to a lack of confidence as the reason for under-performing. Why does confidence seem elusive? Why do so many athletes struggle with confidence? Dan started at an early age and he quickly separated himself from his age group. Dan’s coaches took notice of his stick handling skills and ability to put the puck in the net. Dan took the ice with energy and confidence each game. As Dan moved up the ranks, he played with better players and was no longer head and shoulders above his peers. Dan had to fight for playing time and would be a bundle of nerves in the locker room prior to games. Dan feared making a mistake that would cost his team the game and could never seem to get into the groove during games. Dan often wondered what happened to the confidence he once had when he was younger but had no idea how to regain that belief in his ability to play the game he once loved. So Dan continued his same practice routine which only led to the same anxious play game after game. Where does confidence come from and how can an athlete work on improving confidence or having consistently high confidence? With anything, success is the product of hard work and focus. To be successful at building confidence, you need to work at it… Plain and simple! The reason why so many athletes struggle with confidence is that they never do anything to improve their confidence level. And they don’t address the confidence killers that hold it back. Confidence is like a garden… You have to tend to it daily in order for it to grow. This daily focus on tending to confidence has turned Chad Johnson, Calgary Flames goalie, from former-career backup to one of the most reliable NHL goalies in 2016. In a 15 game span, Johnson has a 0.928 save percentage and 2.11 goals against average… That is the benefit of confidence. What specifically has Johnson done to build his confidence? Johnson’s confidence is a product of preparation and focubs. Johnson prepares by practicing as if those training sessions were games but that is not all. 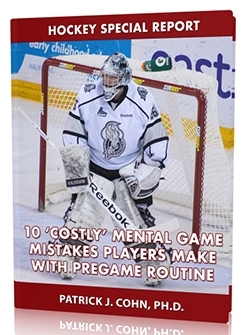 Johnson takes care of his mental game by consulting with a sport psychologist and doing mental training exercises when he is not at the rink. Being fully prepared frees up Johnson’s focus to be solely on playing rather than worrying about all the things that could go wrong during a game. Confidence is the most valuable weapon you can bring to a competition. What are you going to do to build your confidence? How will you up the ante in your preparation? Don’t leave your confidence to chance… Take responsibility for having high confidence at the start of the game. Commit to preparing better. Go to practice with a plan. What can you do to improve your physical game THIS practice? 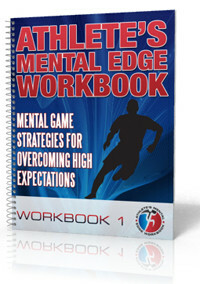 What will you do to improve your mental game THIS practice? Focus on your talents and abilities, not what’s lacking in your game. Be mindful of the confidence killers, such as doubt, high expectations, making comparisons to others, and several others that drain your confidence tank. Click here to learn all of my secrets for ultimate self-confidence! Learn 14 Days of Proven Self-Confidence Techniques! 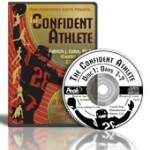 The Confident Athlete CD and workbook program is 14 days of proven confidence-boosting techniques guaranteed to drastically build self-confidence and improve sports performance.